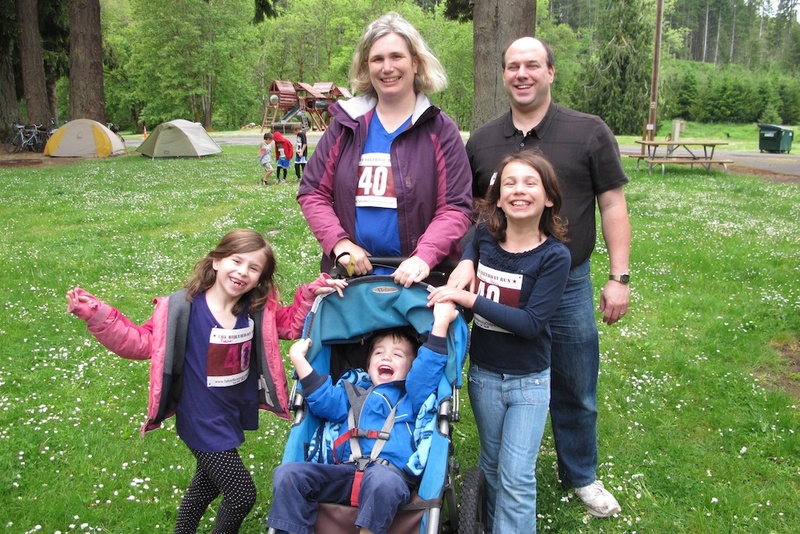 The idea percolated for weeks until it was full-strength: I would celebrate my 40th birthday with a family fun run in Oregon. No need for birthday cake, candles or elaborate food. 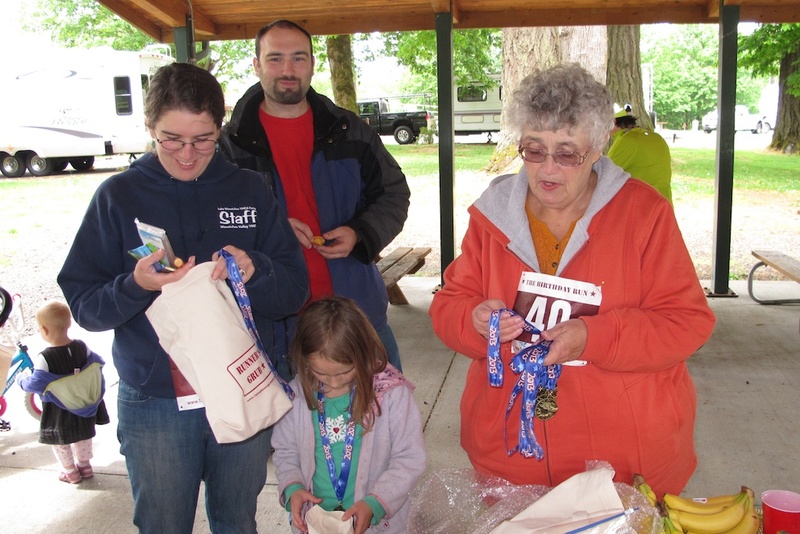 Instead, there would be custom race bibs, swag bags, and medals for each finisher. And, as with all the best events, a great course would be essential. I decided to return to the scene of one of my favorite road marathons (oh, I have so many favorites!) 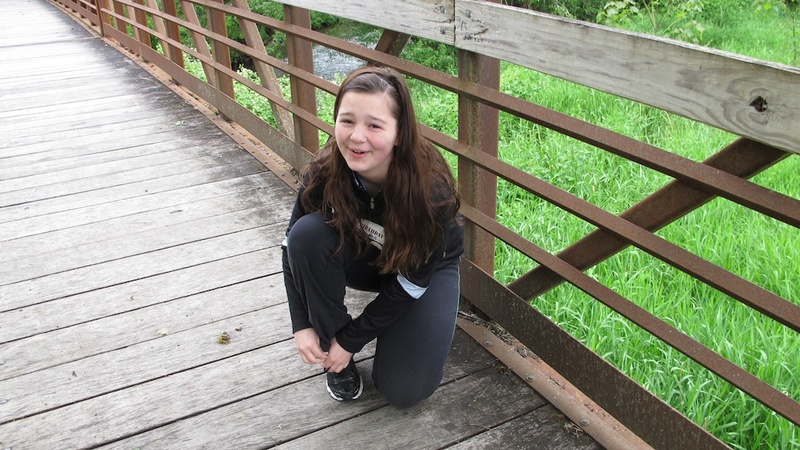 on the Vernonia-Banks Oregon State Trail. 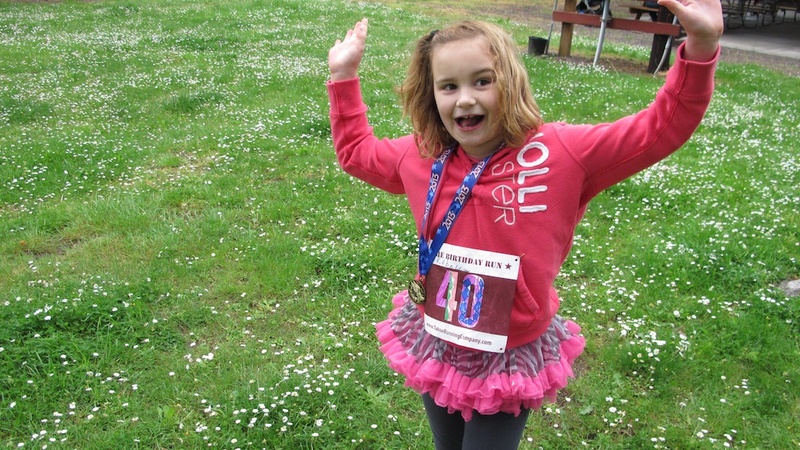 Click here to read about the Vernonia Marathon & Half Marathon in 2012. It all took place Sunday, a few days before my birthday. 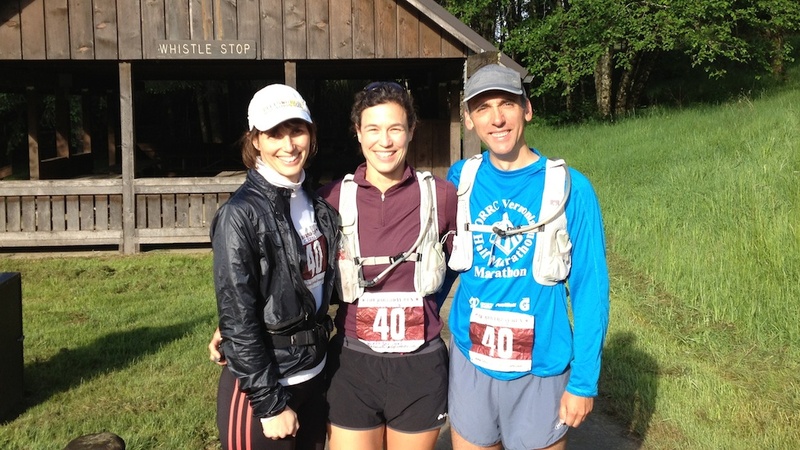 A handful of us met early for the 14-mile run on the rails-to-trails path. 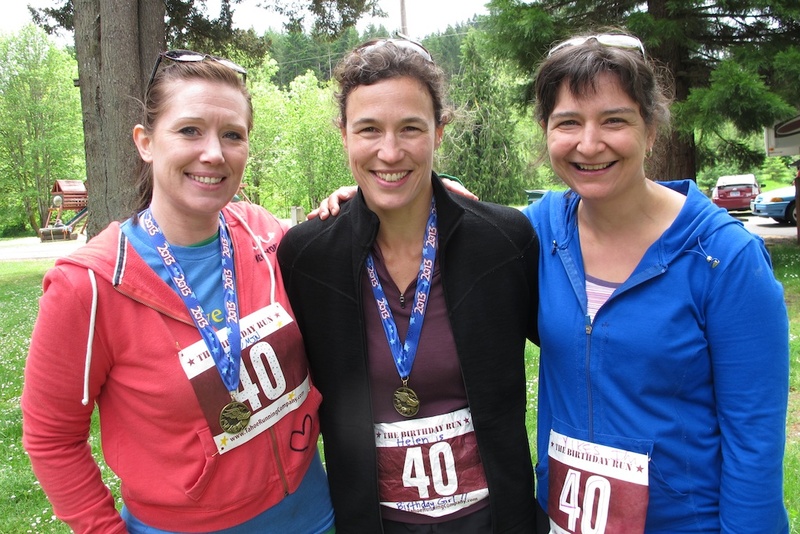 We finished at Anderson Park in Vernonia, where my assistant race directors (i.e. 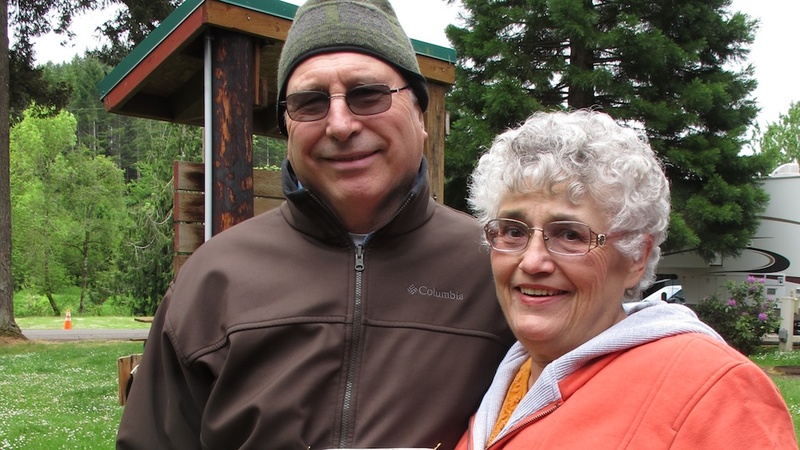 Mom and Dad) managed about 40 family members getting ready for the shorter loop. 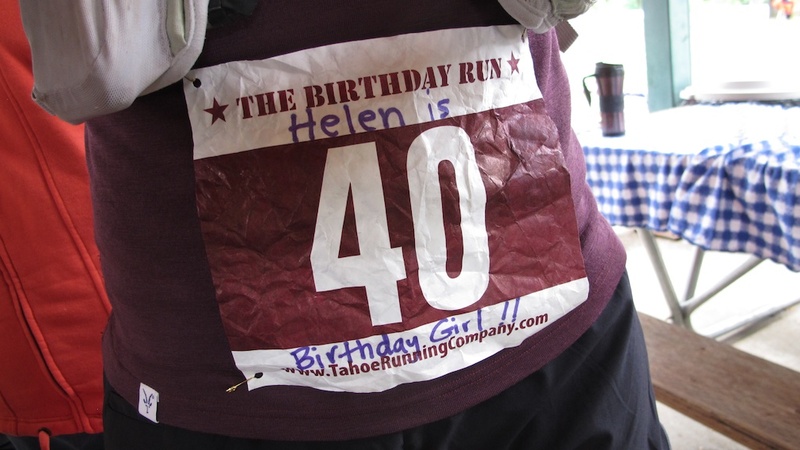 Runners decorated their bibs with colored Sharpies and pinned them on with golden safety pins (shiny and lucky, in my opinion). 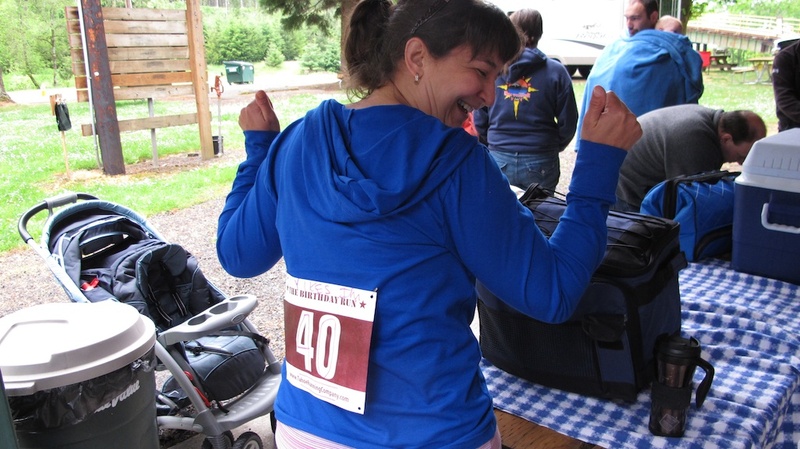 My pre-race briefing was about like this: “Do the loop counter-clockwise. Don’t pass Uncle Tim.” And they were off. 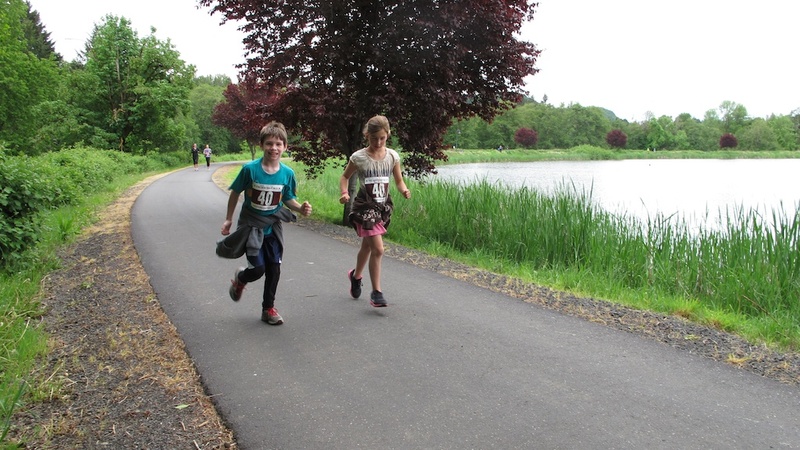 A mess of kids of all ages running, walking, or wheeling 2.5 miles around the Vernonia Mill Pond. I should have actually marked the course, as there are two intersections. 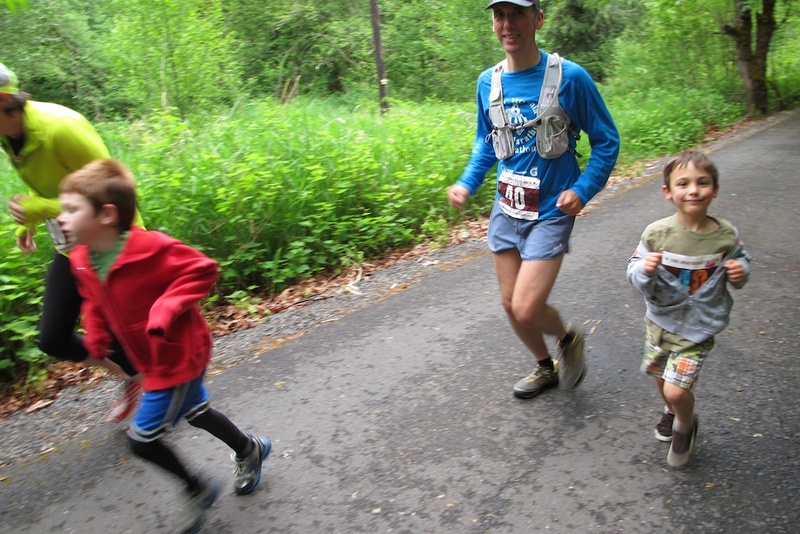 This would have been tricky, since I was running the 14-mile course the hours before the pond loop run. We didn’t lose anyone, but my own guys missed the turn pack to the picnic area, and ended up doing the loop twice. No harm done – my husband really enjoyed the quality visiting time with our son. The cousins of May 1973. Yikes, we’re 40! For those times over the years that I pondered where I would be on May 21, 2013, I don’t think I imagined it quite like this! Today I am 40 years old and happy about it. 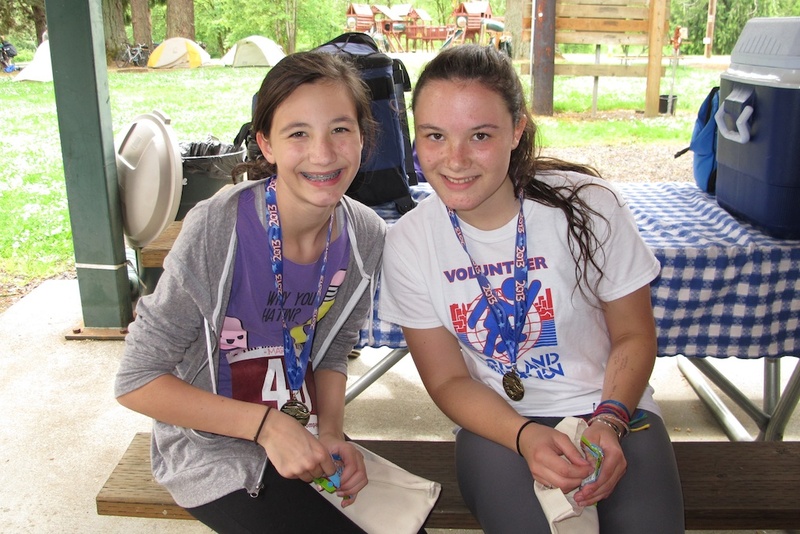 I have specks of sparkle in my hair and the remains of blisters on my feet from last week’s 100k race. My life is rich with family, friends, health and joy. I am especially grateful that I get to share it all with my wonderful husband and experience life as a Mom to the two most amazing little people I have ever met. Now, on the other side of the hill, I will strive to balance the creation of new memories with the savoring of old. Today we are home in Truckee and I will continue to celebrate and honor life the best way I know how: with a trail run on The Flume perched high above Lake Tahoe. Onward. What a great idea. No one is going to for get that birthday.